Time for a punch of color to chase away the gloom, gray and white of winter. 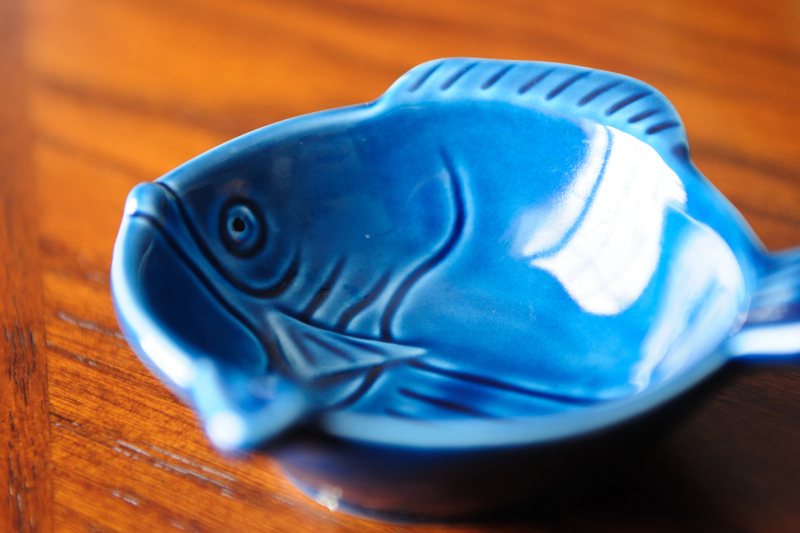 It's one of five colorful fish-oriented condiment dishes I purchased years ago from the Asian market. The dishes hold dipping sauces for your dumplings or sushi or whatever you want to dip (hubby uses one to hold blue cheese dressing, and dips in his buffalo wing). I think this one is a Grouper [but not 100% certain]. We think they are versatile and cute.